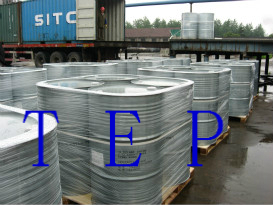 Triethylphosphate tep HS customs codes - ZhangJia Gang YaRui Chemical Co., Ltd.
Our company provides Triethyl phosphate tep customs code HS for you. According to the regulations of the General Administration of Customs of the people's Republic of China, the customs code of Triethyl phosphate tep HS was 29199000, and I hope to help you. If Triethylphosphate tep HS customs codes product is not what you want, we can be customized according to your needs, please send us your order to Email: sales@yaruichem.com , or click here to post your buying lead.